Some pieces of evidence suggesting the regional difference in seismic wave velocity and attenuation in the upper mantle beneath Japan were obtained in the 1930s (e.g., regional distribution of travel-time residuals; the absence of sScS phases near the epicenter of deep earthquakes). As early as 1918, K. Hasegawa reported that some earthquakes occurring on the Japan Sea side were felt only on the Pacific Ocean side. This strange phenomenon (abnormal distribution of seismic intensities) was studied in detail by T.
Ishikawa and others between 1926 and 1933. Katsumata (1960) remarked that the seismic waves passing through the seismogenic parts of the earth travel faster with less attenuation than the waves traveling through the aseismic parts. 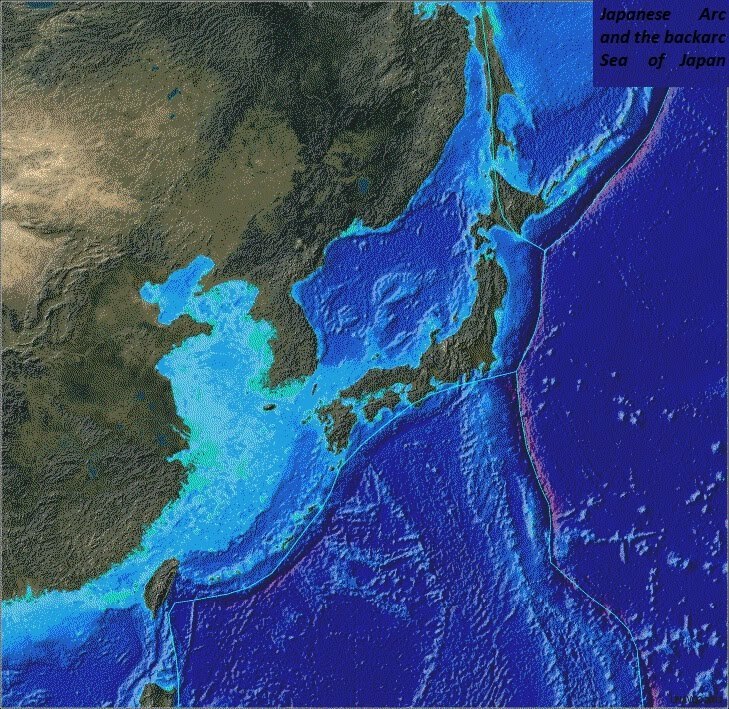 In 1966, Utsu systematically studied the seismic intensity distributions for deep and shallow earthquakes around Japan and concluded that the Q contrast between deep seismic zone and the aseismic upper mantle beneath Japan reaches 10 times or more. He also obtained a 5% difference in velocities of both P and S waves. For more details on the heterogeneous structure of the island arcs of Japan, see a review paper by Utsu (1971).